Who Is Laura? 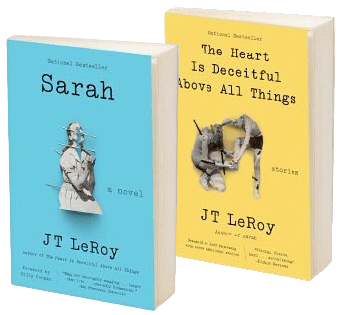 – Who is JT LeRoy? Laura is visting Scotland and Ireland, and we wanted to let all her friends know where and when she’ll be appearing. First is the prestigious Edinburgh International Festival, at which Laura will be participating on August 21 for a talk with renowned psychotherapist and writer Susie Orbach. Founded in 1947, the festival is a celebration of the creative arts internationally, and its Book Festival is holding this special event with Laura and Dr. Orbach on Monday the 21st, 3:15 pm at the Baillie Gifford Main Theatre (Charlotte Square Gardens, Princes Street, Edinburgh). Dr. Orbach is the author of Fat Is a Feminist Issue, In Therapy, and other notable titles, and she will be joining Laura for a therapy-themed dialogue that will examine the development of the persona of JT LeRoy. It’s going to be a one-of-a-kind encounter, so be sure to come join them. You can learn more about the details of the talk HERE. And there’s more action! 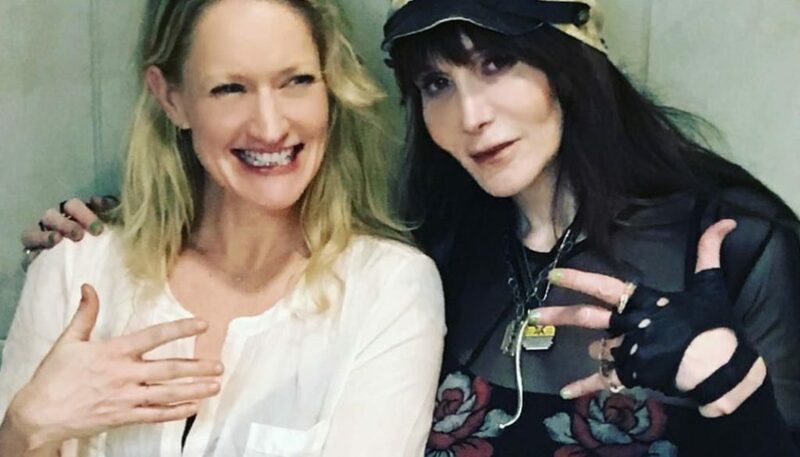 On August 24 in Dublin, the Irish Film Institute will have a special screening ofAuthor: The JT LeRoy Story, followed by a Q&A with Laura and actress Paula Malcomson (Ray Donovan,Deadwood). That’ll be on Thursday the 24th, 8:00 pm at the Irish Film Institute (6 Eustace Street, Temple Bar, Dublin). That meeting of pals is sure to be a blast and we’re hoping all Laura’s and Paula’s friends will come to join them! More details on this event can be found HERE. Guess who’s coming to Cork? On Friday August 25, Laura Albert will be speaking after a 7:30 pm screening of Author at the Triskel Arts Centre (Tobin Street, Centre, Cork). More than eyes will be smiling that night, don’t miss it! For further information, click HERE. Want more? You can also see Laura at Ireland’s County Laois, participating in the Electric Picnic Music and Arts Festival on Saturday September 2 at 5 PM. She’ll be speaking with Nadine O’Regan, and you can learn all about this event HERE. And HERE too! Join Laura and The Simpsons for Valentine’s Day! The JT LeRoy Prints Are Available! JT logo image: Jowita Bydlowska, artist; © and ™ Dove's Diner Inc.